Illusions distort our senses, create false ideas, beliefs, and expectations, and lead us to see things that do not really exist. Illusions of competence in study and learning behaviors leads to early termination of learning, overly ambitious expectations, and unfortunately, poor performance. Modern undergraduate students are overly confident in their study and learning skills. Yet, research shows that these students overwhelmingly rely on ineffective and improvised study and learning behaviors (re-reading, highlighting, massing study), and even when taught about effective study strategies (retrieval, self-testing, distributed practice, interleaving, etc. ), continue to buy into their “illusions of competence” in their study methods. Undergraduate students take their illusions of competence to law school and are often dumbfounded when their “tried and true,” yet wholly improvised study methods fail them in their law study. A wealth of empirical evidence on effective study behaviors exists from thousands of studies at the undergraduate level from the fields of psychology, educational psychology, cognition. For a great summary, check out the Bjork Learning and Forgetting Lab. Yet, legal educators are often unaware of the research from other disciplines relating to learning. My recent article available on SSRN, “Illusions of Competence: Using Empirical Research on Undergraduate Study Behaviors to Maximize Law Learning,” summarizes the empirical research on effective (and ineffective) study behaviors for the legal educator and recommends concrete, practical ways to integrate the research into the law school classroom. Administrators, law professors (doctrinal, skills, clinical, etc.) and law students will all benefit from learning which study behaviors work, and which done. Analogies are not just used by legal writers. 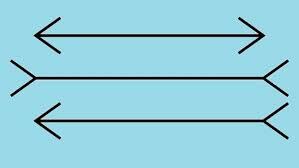 According to a recent post on Fast Company, The Creative Life by David Zax, the most creative problem solvers in many industries draw from diverse sources of information to harness the usefulness of analogies. 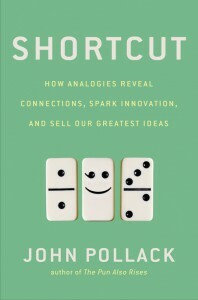 Zax interviewed John Pollack, former Bill Clinton speechwriter and author of new book Shortcut. According to Pollack, the “analogical instinct” – the ability to see how things are like other things is at the root of innovation. Analogies work because they make the unfamiliar familiar; they help the mind navigate new terrain by making it resemble terrain we already know…. An analogy is a comparison that suggests parallels between two different things, explicitly or implicitly. Developing analogies requires seeing past superficial differences separating things and looking beyond the surface – not at the actual thing itself, but at what it represents. Good legal writers explore analogies to find connections between ideas. 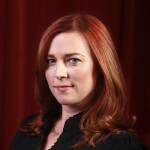 With these connections, good legal writers show (or create) familiarity with unfamiliar concepts and can harness the power of the analogical instinct. 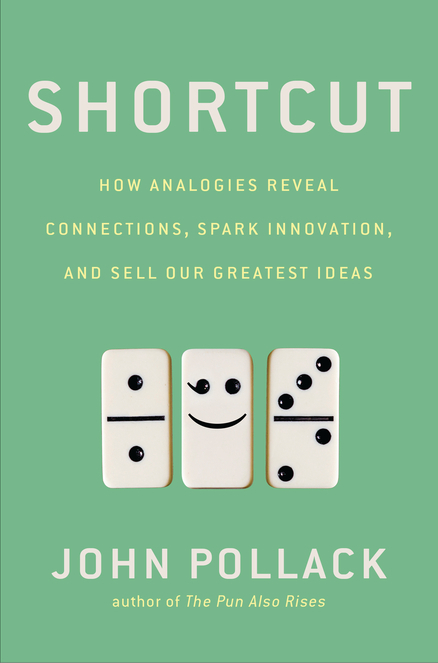 Pollack’s book, Shortcut, How Analogies Reveal Connections, Spark Innovation, and Sell Our Greatest Ideas, should be on every good legal writer’s “must read” list. Try to remember something, to pull something out of the recesses of your memory. For example, what you did with your significant other on your last anniversary or more specifically, what gift you gave your significant other at that anniversary. Having trouble pulling it up? (The brain is not a computer after all). Now try to visualize where you were. Images help memory recall. Associating strong visual and mental images with verbal or abstract information makes that information easier to recall in the future. Professor Jeffrey Ritter of Georgetown Law leverages the power of mental imaging in “Mapping the Law: Building and Using Visual Mindmaps in Legal Education.” The video is part of the Igniting Law Teaching conference hosted by LegalEd at American University, Washington College of Law. Igniting Law Teaching provided a forum for professors experimenting with cutting edge technologies and techniques in law teaching to spread ideas to the broader legal education community. You can read more about images and memory devices in Make It Stick: The Science of Successful Learning, by Brown, Roediger, and McDaniel. A law professor from Suffolk, Gabe Teninbaum, has harnessed the research findings on spaced repetition and retrieval to create a bar study app that spaces flashcards and asks for judgments of learning. Teninbaum claims his product, SeRiouS, improves memory retention to 92%. The content is supplied by 600+ flashcards created by law professors on topics most likely to be tested on the Multistate Bar Exam (MBE) and in core law school subjects. 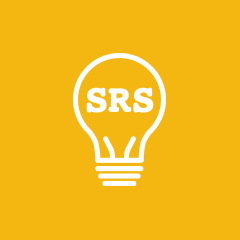 SeRiouS is designed to show the user a flashcard and ask the user to report how well he or she knew the answer. The user’s response determines how soon the flashcard reappears – if the user struggled to recall the correct response, the flashcard appears again soon; if the user easily recalled the response, the flashcard will appear less often. I have not tested SeRiouS and cannot vouch for the effectiveness of the program. However, as it is based on research findings from cognitive science and designed by a law professor very intentionally to incorporate empirically based effective study methods, SeRiouS appears to be a good bet for students studying for the bar exam and even students studying MBE subjects. Solid Study Skills Advice: Even in September, It’s not too soon to review! If you’re on a semester schedule, you’ve been in law school for 4 weeks now. It’s time to start studying for exams. Trust me. Don’t want to think that far ahead? Fine. How about thinking about it as reviewing what you have learned so far this semester? Doesn’t sound so bad, right? Now is the PERFECT time to review what you have learned so far this semester. The Law School Academic Support Blog has some excellent, practical advice for how to start reviewing now. Arrive at each class 5-10 minutes early and review case briefs and class notes from the last class (hello, spaced study! After class, review your case briefs and class notes.